A Fraiche and sunny tiger lily arrangement with bright yellow roses displayed in a clear glass bowl. 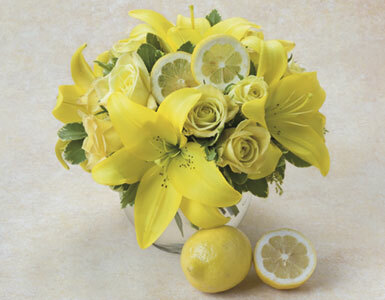 We specialize in yellow flower arrangements, yellow rose arrangements, and yellow roses gifts for birthday. We will have your yellow roses delivered promptly to your home or office in Beverly Hills, West Hollywood, Santa Monica and greater Los Angeles area.